Home » World News » Did Paris attack mastermind Abdelhamid Abaaoud blow himself up during Police raid? French police officers arrested eight people and recovered two mangled bodies on Wednesday, following a day-long siege in suburban Saint Denis targeting the suspected mastermind behind the 13 November terror attack in Paris. 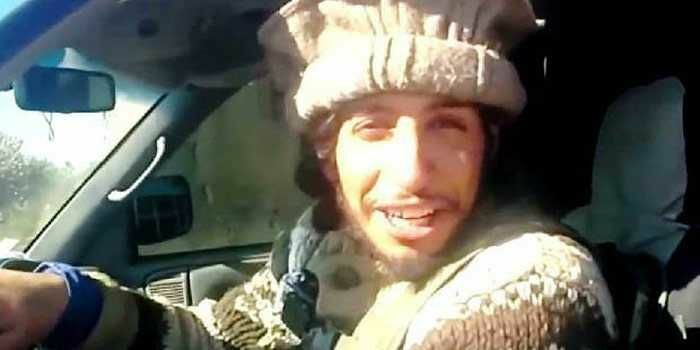 However, French authorities are still unclear as to whether the alleged mastermind of the attack, Abdelhamid Abaaoud, has been killed. While most reports claim that Abaaoud was killed in the raids in Saint Denis, French prosecutor Francois Molins did not confirm if he was one of two dead terrorists. On the other hand, French Ambassador to India, Francois Richier, told NDTV in an interview that Abaaoud may have killed himself when the raid was on. The other body found is that of a woman, who blew herself up during the massive police assault. The woman is believed to be Abaaoud's cousin. After the raid, white-suited forensic experts swarmed the building as police tried to verify if Abaaoud, who may have planned Friday's attacks in Paris that killed 129 people, had been in the apartment. Paris prosecutor Molins said a probe into the attacks allowed police "to obtain telephonic surveillance and witness testimony which led us to believe that Abaaoud was likely to be in an... apartment in Saint Denis". Abaaoud is an Islamic State fighter who was previously thought to be in Syria after fleeing raids in his native Belgium earlier this year. Seven jihadists died in the 13 November attacks on the stadium, a concert hall, bars and restaurants in Paris. The Islamic State claimed responsibility for the attacks. Police are hunting for two other individuals, including 26-year-old Salah Abdeslam, suspected of participating in the attacks with his suicide-bomber brother Ibrahim. The unprecedented violence on 13 November left France shaken to its core. This is the second terror attack on the country this year - A three-day jihadist killing spree left 17 dead in January. Hollande urged the nation not to "give in to fear" or excessive reactions in the wake of the attacks.